The Scottish singer Son of the Chief, more commonly known as Mackie Mackintosh, has released a debut solo album “Needless Road” that is a true Americana-indie album. The ten-track piece from the Scottish artist sticks true to an Americana sound, but has clear country-rock inspiration, “Coalfax Avenue” being a great example of this -the electric guitar intro to the track making you believe this is a more mainstream country song, but then the fiddle instrumental in the middle and the banjo backing throughout, brings it home with an Americana sound. The album is very different from the work he’s done with his band Aerial, which was primarily a power-pop band; however, his voice still retains that pop vibe throughout the album. “City of Roses” is the opening track on the record and it has a clear Americana inspiration throughout. As most of the songs on the album are taken from his diary following a North America trip, “City of Roses” is probably about Portland, Oregon, whose nickname is the same as the song’s title. The song is an upbeat track with a harmonic opening, with female backing vocals about travelling to the “City of Roses” with a girl. It’s easily the standout track of the album. 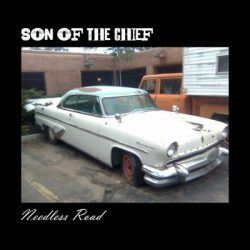 Overall, the album is full of well-written songs, and in pursuing a solo career, Son of the Chief has released a great debut album which would come into its own in a live setting. His voice is powerful enough to stand out against the full backing band, but is also well suited to the more acoustic material. Next Next post: Oh Sees premiere new jam with Mojo magazine.